LAS VEGAS, NV – Jan 10, 2018 – Mushkin Enhanced MFG, an industry-leading designer and manufacturer of high-performance and high-reliability computer products, is unveiling the new, refreshed, Silverline DDR4 heatsink at CES 2018. Cut from aircraft-grade aluminum for fast heat dissipation, the new Silverline heatsink is the newest model of design and functionality. Developed with a refined, industrial - yet elegant - gamer look, the new Silverline heatsink takes Mushkin’s world-renowned Silverline product line to a new level. An ideal solution for DIY'ers, gamers, and system builders, the heatsink's diamond cut design will definitely turn heads. 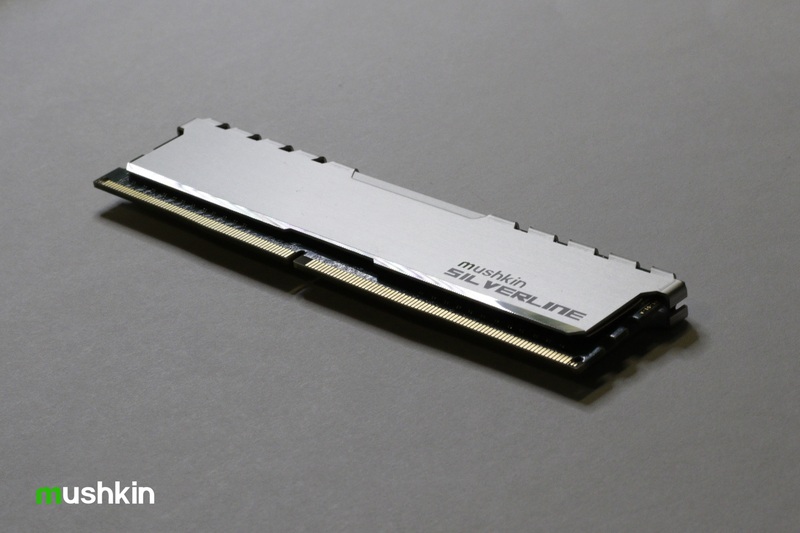 Additionally, being an economical solution, Mushkin Silverline DDR4 modules will meet the budget goals of any build. The new Silverline heatsink will begin shipping on new Silverline DDR4 memory SKUs in Q2 2018. For over 25 years, Mushkin has been dedicated to helping Gamers, digital artists, IT managers and professionals a like enhance their computing experience by providing reliable, high-performance products. Mushkin’s products include complete selection of USB, SSD and Memory Module upgrades for both the consumer and enterprise industries. Since the company’s founding in 1994, Mushkin has received numerous awards and commendations for quality, reliability and technical excellence.